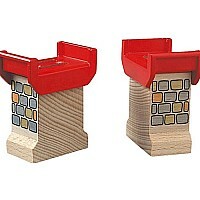 This set is focused on loading, stowing and hauling cargo. 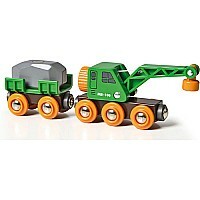 It includes a battery operated freight engine (1 AA battery needed, not included) with working headlights. 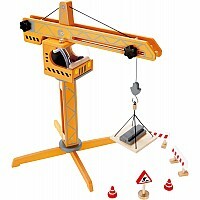 The three included cranes have magnets designed to pick up loads. 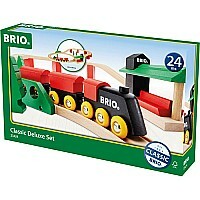 This set comes in a special BRIO storage tub made out of high quality plastic with a latching lid to help keep all your BRIO train pieces securely stored. Measures approximately: 32.00 x 22.00 x 7.00 inches..